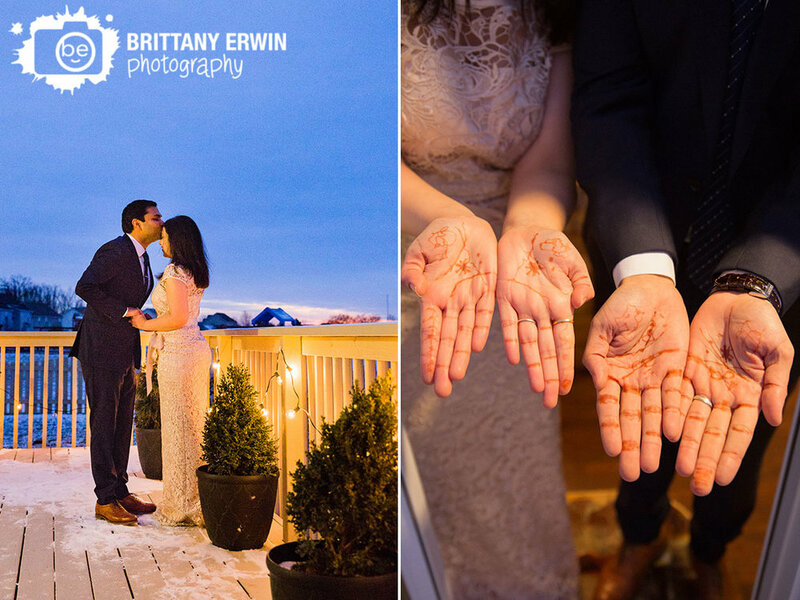 Last week I had the pleasure of photographing Paridhi and Abhay tying the knot with some close family out in their snow covered backyard. I am a big fan of snow and was overjoyed to see a lovely little wonderland waiting for them on their big day. Paridhi looked stunning in her lace gown - if not a little chilly! Abhay was also looking great in his navy suit. The two were troopers and ventured out into the cold to have some portraits taken out in the snow and for their ceremony right out their backdoor before heading in to warm up and make the whole thing official with the lovely VIctoria of Marry Me in Indy. Congratulations go out to Paridhi, Abhay and their families!